The Moderator I hereby thank the legislators Miss Tian Qiujin 2011.08.12 in the Legislative Yuan generous attempts to help the victims of Herbalife held a press conference! Eat nutritious health food have to be careful! Surnamed Zhang old man eating son bought for his well-known health food "Herbalife" Unexpectedly, the symptoms of systemic redness peeling, dealers also argued that "detoxification" and told the old man to continue to eat, causing the elderly man peeling pus , memory loss, confusion, and nearly died. The man surnamed Zhang the son Zhang Bingshen today (12) morning, accompanied by DPP Legislator Tien Chiu pansy held a press conference, broadside dealer disregard for human life, requiring manufacturers to provide compensation. However, the scene of the senior manager of the the Herbalife Public Affairs Shih Yi-Ru Reason Law, Herbalife tenable, the two sides talking to no intersection. Zhangbing Shen pointed out that more than seven years old, his father, filial heart, before buying a lot of high price of Herbalife nutritional supplements nutritional supplements. Unexpectedly, the father, after eating, the body begins to redness, itchy situation, asking different Distributor, expressed normal detoxification ", ZhangFu continued safe to eat. Subsequently led to the February 2009 to March 2010, Zhang parent total emergency 4 times, hospitalized six times, almost died of sepsis. The physicians highly suspected food allergy with Herbalife, stop eating, allergic condition immediately improved. Zhang Bingshen broadside, Herbalife registered with the Department of Health Food Distributor has swindle called "health food", even "detox" efficacy, harm his father almost lost his life, and he suspected Herbalife with false advertising, deception Distributors and consumers, the end of the day, victimized consumers, fined Distributors Corporation was entirely responsible without warnings do not want to raise very unreasonable. Yi-Ru Shi said, Herbalife clearly marked for each nutritional supplements are "food", and therefore do not need to carry a boxed warning. To the proceedings for this event can not be directly prove ZhangFu allergy symptoms Herbalife Food-related training courses for direct sales personnel requirements shall not claim to have medical benefits. But for the poor direct sales personnel, Herbalife can not be responsible. Herbalife to appoint lawyers also said that if any harm acts of goodwill, it will take action. Zhang Bingshen stressed that he will get justice if the Herbalife think he deliberately hurt goodwill, "Welcome to the divisions", but if subsequently proved to be the responsibility of Herbalife. The two sides talk past each other in the press conference, there is no intersection. Wang Huiying, food inspection chief of the Department of Health, said that after the incident, has all Herbalife products sent to the health unit of a comprehensive test, the tests meet the standards for exaggerated advertising section open penalty. She called on the people, nutritional supplements are not equal alternative to dinner, no efficacy and if unwell situation should immediately stop eating, and a doctor as soon as possible. Democratic Progressive Party Legislator Tien Chiu pansy, said today that the citizens have told her petition severe allergic dietary supplement products, related industry should indicate the product ingredients may react, her proposal would amend the law to fill loopholes in the law. Petition populace Mr. Zhang morning held a press conference in the field autumn pansy accompanied pointed out, the 73-year-old father after taking Herbalife nutritional supplement products, severe allergies, direct sales staff claimed detoxification reaction to his father continued to take the last almost caused sepsis. Mr. Zhang stressed that his father is not the case, calling for all the victims out to prove, adding "Herbalife victims Union". He believes that Herbalife should carry a boxed warning on the product and training good first-line pharmaceutical salesman knowledge, do not ignore the lives and safety of consumers. The indictment of Mr. Zhang, Shi Yi-Ru, the Herbalife Public Affairs Manager, Herbalife sell food instead of healthy food, in accordance with the laws and regulations of the Republic of China does not have a boxed warning, but HE Bao Fuji in the enterprise responsibility has a boxed warning on the product, and also requires the distributor can not be claimed that the product has the effect of efficacy or detoxification. He countered, before the onset of his father, Herbalife and not food boxed warning, he reflects, Herbalife was boxed warning. He also criticized the Department of Health connivance Herbalife endangering the health of citizens, leaving it without human testing, the poison test the product, he decided to make the country lose the lawsuit. Wang Huiying, section chief of the Department of Health, Food and Drug Administration said after receiving the case, the Department of Health (DH) has for the first time require health unit survey also investigated products advertising content, including raw materials and heavy metals testing, found to meet the health food-related laws and regulations, but exaggerate the efficacy. She called on the people not to believe the the puffery advertised effect, if there is not, we must seek medical treatment as soon as possible, otherwise the expensive and beverages. TIAN Qiu Jin of Mr. Zhang Lao disabling symptoms disappeared after the Herbalife products, but Herbalife has nothing to do with the consumption of Herbalife also said that Mr. Chang symptoms, consumers are significantly disadvantaged, her proposal would amend the law to make up legal loopholes. Legislator Tien Chiu pansy accompanied the petition by Zhang Bingsheng the 12th held a press conference to point out that the father after taking Herbalife nutritional supplement products, severe allergies, and direct sales staff has said that a detoxification reaction to his father continued to take the last almost causing sepsis . Zhang Bingsheng filial heart, before buying the high price of Herbalife nutritional supplements nutritional supplements. Unexpectedly, the father, after eating, the body begins to redness, itching, and even body peeling, edema, exudate situation, asking different distributor expressed normal detoxification ", the To ZhangFu continued safe to eat. He said that his father during the taking total emergency 4 times, hospitalized six times, almost died. Stated on the certificate of the physician's diagnosis: allergies, suspected health food due to Staphylococcus aureus bacteremia. "The physician recommends disabling Herbalife products, allergic condition immediately improved. He pointed out that Herbalife registered with the Department of Health Food Distributor has swindle called "health food", and even the efficacy of "detox". To Shi Yi Ruqiang tune, Herbalife, Public Affairs Manager, Herbalife sold food health food, but based on corporate responsibility in a boxed warning on the product in accordance with the laws and regulations do not have to carry a boxed warning, In addition, to the proceedings for this event can not be direct proof sheets Father allergy symptoms with Herbalife food, also require the distributor can not be claimed that the product has the effect of efficacy or detoxification. The Food and Drug Administration food group, food inspection the registration section chief Wang Huiying said, in this case occurred, has been Herbalife's products to send health units inspection, including the inspection of raw materials and heavy metals test compliant and abnormal. However, she said, Herbalife's advertising propaganda, really exaggerate the phenomenon open penalty for puffery and require improvements. She also called on the people, and nutritional supplements are not equal alternative to dinner, and also do not have any efficacy, the body does not appear the case, should immediately stop eating, consult a doctor as soon as possible. Finally, TIAN Qiu Jin of Mr. Chang disable Herbalife products after the symptoms disappear, the symptoms associated with the consumption of Herbalife, Herbalife's resolutely old gentleman's nothing to do, obviously disadvantaged consumers, her proposal would amend the law to make up for the loopholes in the law . Medium-term symptoms: skin itching intensified / skin redness / fever. Late symptoms: fever / skin redness / edema / limbs peeling skin. The serious period symptoms: systemic peeling skin peeling / limbs, edema, exudate / limbs sore knee bent difficult / memory loss and confusion. Sequelae: abnormal skin / memory loss and confusion. If you have similar symptoms Do not listen to the detoxification argument should quickly stop taking it, seek medical attention and contact the health food and gelcap like food unexpected reaction reporting system, to avoid becoming another victims of human trials of health food persons. 1) court proceedings has not yet made ​​a judgment of my father's illness has nothing to do with Herbalife, and we find that the judicial and medical personnel involved in the documented false or forged instrument is suspected, however, the case prosecutor not to prosecute is insufficient evidence. Therefore, I propose to committal for trial, to fight for the last axiom justice ditch, looking forward to the judicial officer ought to be based on the relevant medical diagnosis to confirm the causes of my father with a considerable degree of causality with Herbalife, and references the relevant administrative regulations to prosecute the company . 2) to my father to buy Herbalife products consumption sister, is not myself Zhang Bingsheng purchased. Sister joined Herbalife Distributors on the occasion, my father has also support 12 million to obtain the Distributor qualifications. This product can only be obtained from Herbalife Distributor, most direct marketers are the friends and family as a product of the object sharing, so my father will through the hands of the sister consumption of Herbalife, which is pass the direct selling industry norm man runs into trouble. 3) Herbalife representative of its own products are "food" rather than "health food" or "health food" as prevarication words of shirking its responsibility, but in accordance with the existing laws and norms, claiming to provide special nutrients and health benefits of the food, as the Health Food Control Act of objects. The 4) Herbalife ingots food should be registered in accordance with the input gelcap like food inspection approved, rejected, principles and other regulations of the supplement to the application for inspection, but the Herbalife Company and Chief, Department of Health did not put forward the inspection audit nuclear provable. 5) The Chief, Department of Health (DH) has not proposed to send test of inspection Herbalife products are in line with the standard of the report proved empty rumor. 6) the position of the Chief, Department of Health and insights are similar with Herbalife, how can we expect the Department of Health, the Food and Drug Administration "due diligence to back the people's health and food safety checks? No wonder conscience physician bluntly critical of the establishment of the esophagus Bureau is simply a hoax! 7) We demand the HE HE Fu home claimed regular clinical experimental track "proved and approved by the Department of Health inspection to prove, to prove that the products are in line with the laws and regulations. 9) Please Herbalife produce product liability insurance contract content to us consumers to prove the performance guarantee of product safety, to maintain their own goodwill. 10) due to the Herbalife product liability and the production of the source of defective products are the U.S. company, so we really object of claims is also the source. If due compensation in the future, I will be the claimant the gold as social things needed to take care of my father, which was I set up the grounds and purposes of Herbalife victims League. I also call upon the people to join our ranks, and jointly safeguard the security and interests of its own and I have the same philosophy and goals. To appeal to Herbalife Distributors should uphold the moral conscience in direct sales, and medical personnel should uphold the ethics of conscience to treat the victims of suspected health food, because you are the first line of the face of the victims, an obligation and responsibility to appeal to the people and government together to prevent harm health food. What is healthy food? Healthy food means as defined in the Health Food Control Act, the Department has Baojian effect to the labeling or advertising of food; aforementioned alleged health benefits that enough to advance public health or reduce disease risk of harm, and has scientific evidence to support the efficacy of The announcement by the Department of Health, rather than treatment, correction of human disease medicine effectiveness. Product name without the words "health food", whether it is still healthy food management law? In addition to the product name should, depending on the product and the declared content. Food labeling or advertising content involving the health effects of the announcement by the Department of Health, and shall be subject to the norms of the Health Food Control Act. Other words, not to replace the product name: "health food", "functional food", "food nutrition", "organic food", "natural foods" or other similar names, you can circumvent the law of the management. Health food inspection and registration should attach components, specifications and other information, by the audit is listed on the product packaging still have marked ingredient recipe? Health food approved after its commercially available product packaging labeling should comply with the sections of the project required by section 13 of the Health Food Control Act, which does not include the product's ingredient recipe, but its contents content marked descending order and marked nutrients and content, mark the way and content should be consistent with the Department of Health, and detailed provisions went ahead to the Department of Health website (www.doh.gov.tw) query. In capsule form, tablet form of food because of its appearance, is easy to be confused with the drugs, the former according to the Bureau of Foreign Trade of the Ministry of Economic Affairs, 1989 announcement tablet form, capsule form of general food should be handled nuclear prepare a letter with the Department of Health input visa " regulations, the industry has long according to their input tablet form needs to be presented to the Department of Health, capsule-shaped food applications for nuclear preparedness; council after the announcement in 1994, restrict the importation of goods, the commission check input Consolidated List of Commodities "in with Ming Syria, the two class appearance of the food should be the Department of Health to apply for the issuance of a license file, so that Lihai relations with the file handle matters input checking. Food can be divided into general food and health food. "Health food" is just a term of general food is a common noun; "health food" is a proper noun, legal terms, permit registered for healthy food, in order to call it. 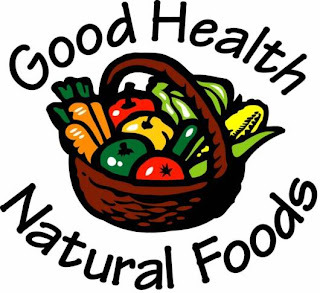 The main difference in health food and health food (usually food), health food demands of the specific health benefits, general food shall be prohibited. All food do not exaggerate, hypocrisy, or concerning the efficacy of the labeling or advertising. The general food of breaches to the Act Governing Food Sanitation Office, involving "health food" and "health benefits" (by the EPA announcement is the limit), then the Health Food Control Act at the Office. Healthy food is designed to apply to the Health Food Control Act. 4. General food in addition to the part have been announced must apply for registration by examination, most do not need registration; health food registration prior permission to enter or production. Life that should be wasted on the good things, but wasted you see the groom's part of life in the above dogma Declaration, I pitch are ashamed, but still want the general public to have the right of health food and food products in general, the basic concept . Another For one, certified health food has some health benefits, but also the day-to-day care only to receive better health and reduce disease risk function, rather than alternative medicine for the treatment, correction of disease with the body once ailments still should first seek the proper medical channels, do not listen to exaggerate the publicity, or the delay in medical treatment and damage to the body, then the non-healthy food intention. Scientists from King’s College London have found that many herbal medicines used for a wide range of conditions are derived from a botanical compound containing aristolochic acids. 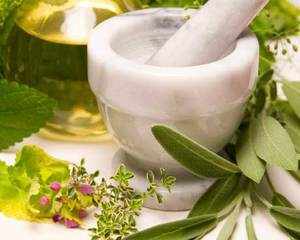 LONDON: Herbal medicines are causing millions in India to develop kidney failure and bladder cancer. In a warning that is bound to cause a fresh row over the quality of Asian herbal medicines, British scientists were due to announce on Tuesday that millions of people in Asia — specially in India and China — might be exposed to the risk of kidney failure and bladder cancer from taking herbal medicines widely available in the continent. Scientists from King's College London have found that many herbal medicines used for a wide range of conditions — including slimming, asthma and arthritis — are derived from a botanical compound containing aristolochic acids. These products are now banned in the US and many European countries, but herbs containing these toxic acids can still be bought in China and other countries in Asia, and are also available worldwide over the internet. The scientists reviewed worldwide cases of aristolochic acid nephropathy (AAN), a type of kidney failure caused by the intake of these acids. They suggest there may be many thousands of cases across Asia that are undiagnosed or misdiagnosed. With the outcome of their study, the researchers hope to raise awareness of the risks of aristolochic acids and reduce the global disease burden from this severe condition. "We do know that preparations containing aristolochic acid (AA) are widely used in India and that this is associated with chronic kidney disease and kidney cancer if a sufficient dose is taken," lead author Professor Graham Lord told TOI. "Ethnopharmacological analyses suggest that aristolochia is widely used in India. India must start better monitoring of medicines containing herbal remedies and also assessment of patients with chronic kidney disease and kidney cancer for the presence of AA." Lord said at the moment they did not how widespread the problem was in India. "We have found evidence that many millions of people continue to be exposed to significant health risk due to these herbal medicines, widely used in China and India," he said. "There is also a striking lack of good quality evidence that might help guide the diagnosis and management of AAN." Their paper, published in "Annals of Internal Medicine", indicates that the regulatory measures that have been adopted by national and international agencies so far may be inadequate in preventing harmful exposure to aristolochic acids. The compound is linked to many cases of kidney diseases and urothelial cancer, a form of cancer of which bladder cancer is the most known variant. The authors reviewed the latest data on the epidemiology of AAN. They used several search engines to include all publications that are about or refer to aristolochic acids and Chinese herbal nephropathy, and identified 42 different case studies and one trial relating to the management of the disease. While explaining the origin and development of the disease, they propose a protocol that should make it easier to diagnose AAN. In addition, they suggest a new disease classification to help international clinicians better identify AAN patients and draft guidelines for the treatment of these patients. The research team consisted of an international collaboration of scientists from Belgium, Czech Republic, Germany and the UK. "This research is a great demonstration of how international scientific collaboration is vital in helping to describe how a toxin used in widely available products can lead to cancer," said Dr Refik Gokmen, co-author from King's College London. Scientists from King's College London are warning that millions of people may be exposed to risk of developing kidney failure and bladder cancer by taking herbal medicines that are widely available in Asia. The medicines, used for a wide range of conditions including slimming, asthma and arthritis, are derived from a botanical compound containing aristolochic acids. These products are now banned in the USA and many European countries but the herbs containing this toxic acid can still be bought in China and other countries in Asia and are also available worldwide over the internet. The paper, published in Annals of Internal Medicine, indicates that regulatory measures that have so far been adopted by national and international agencies may be inadequate in preventing harmful exposure to aristolochic acid. The compound is linked to many cases of kidney diseases and urothelial cancer, a form of cancer of which bladder cancer is the most known variant. While explaining the origin and development of the disease, they propose a protocol which should make it easier to diagnose AAN. In addition, they suggest a new disease classification to help international clinicians better identify AAN patients, and draft guidelines for the treatment of these patients.